Vehicle Property Damage Claim Resolution in Florida | DeLoach, Hofstra & Cavonis, P.A. Some car accident victims not only cope with overwhelming pain and the inability to work, but also deal with damage to their vehicle. Depending on the limits of a victim’s insurance coverage, he or she could be reimbursed for the costs of repairs, lost value of the car, or even total replacement of the vehicle. In this article, we help Florida residents understand how to get payment for property damage to a vehicle, whose insurance is responsible for paying, and how to get the most compensation for your losses. The amount of reimbursement you're entitled to for property damage depends on two things: the extent of damage to your vehicle and the terms of your insurance policy. Under Florida car insurance requirements, drivers must have at least $10,000 of property damage liability coverage. Generally speaking, your property damage costs will be paid by your insurance company. However, if the other driver was at fault and you suffered significant injuries in addition to property losses, you can seek reimbursement through the other driver’s insurance company. Repairs. If your vehicle can be restored with a few hundred dollars of repairs, your insurer should cover the costs. You're allowed to select which body shop will fix your vehicle, and you have a right to have the repairs done with parts that are similar in kind and condition to the ones that were damaged. Total reimbursement. Your vehicle can be considered “totaled” if it's less expensive for the insurance company to replace the vehicle than to repair it. The insurance company determines whether a vehicle is a total loss by comparing the cost of fixing your vehicle to the car’s market value. If the repair cost is more than 80 percent of the fair market value of your vehicle, then the insurance carrier must pay you at least 80 percent of that fair market value. The estimation of fair market value can vary widely. Generally, the calculation is based on how much you could have sold the vehicle for one day before the accident, given the car’s location, condition, age, and mileage. Once you're paid for the loss, you have the option of keeping the car or selling it to the insurance company for its parts value. In some areas, insurers paying for a total loss must also pay sales tax on the sale of the vehicle and the cost of transferring the registration tag to another vehicle. Lost value. Sometimes the damaged vehicle can be repaired, but the repairs result in a huge loss to the car’s resale value. Victims who drive newer model vehicles, sports cars, or luxury automobiles can suffer thousands of dollars of lost value to their cars as a result of accident repairs. Our attorneys represent clients on a contingency-fee basis for diminished value claims, negotiating reimbursement for the difference between the pre-crash and post-crash value of their vehicles. Lost items. 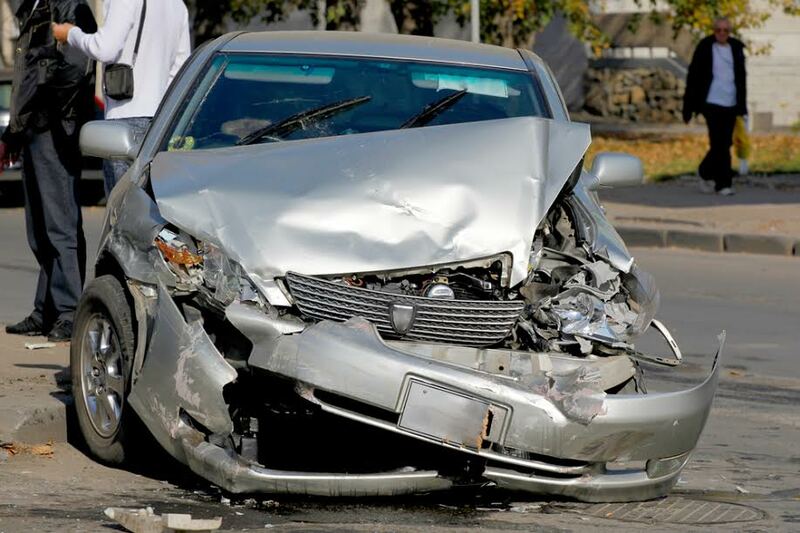 A car accident can cause a loss of personal property beyond the vehicle itself. Anything inside the vehicle at the time of the crash, such as luggage, electronics, eyeglasses, children’s car seats or strollers, and other damaged property should be repaired or replaced. Rental cars. Your insurance company should reimburse you for the cost of a rental vehicle while your car is being repaired. In some cases, victims may be compensated for rental costs while their cars are in the shop even if they don't need a rental vehicle. Fuel costs. In addition to repairs and other losses, you may be able to make a claim for the loss of the gas in your tank. Do I Need a Lawyer for a Property Damage Claim After a Crash? Many attorneys don't take accident cases that only involve property damage. This is because Florida law prohibits "split” action in injury lawsuits. This means a victim cannot sue an at-fault driver for property damage and then seek a later claim for injury costs. As a result, it's always best to seek an attorney’s advice before making a claim. Your attorney can tell you whether you're best suited to file an injury claim or seek property damage costs to maximize the value of your claim. For more information or to speak to a car accident attorney, use the contact form below to arrange for an evaluation of your case.